Cave of the Winds is a cave in the Pikes Peak region of Colorado. It is located just west of Colorado Springs on US Highway 24, near the Manitou Cliff Dwellings. Tours of the complex of caves are given daily. By far the most famous section of the Cave of the Winds is the Silent Splendor room. Discovered in 1984, the room contains numerous rare crystalline speleothems. Unfortunately, the room must be sealed off from the general public in order to maintain its delicate environment. Other names for the Crystal formations are White Beaded Anthodite, Cave Coral, or Cave Flowers. Also commonly considered to be Beaded Helectites which defy the laws of gravity by growing in strange directions and not gravity forced down like many cave formations. Silent Splendor is sealed from public view by an Environmental Gate, a large tube made of PVC that seals in moisture to allow the area of the cave to continue forming. Other lesser known attractions include a "bottomless pit," often the scene of practical jokes by the guides, and a one of a kind region referred to as "the rat." 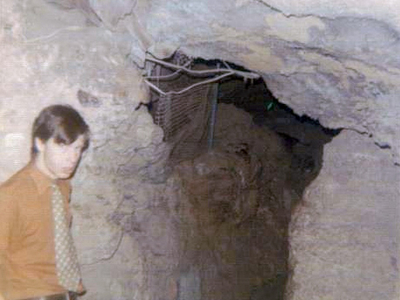 In the late 1980s a few new passages were opened inside the cavern. On May 8, 1988, Mother's Day, a chamber called the "Adventure Room" was opened. Left in a more natural state than most of the cave, the adventure room has dirt floors, lower amounts of lights (compared to other chambers inside the cave) and gives entry to the Manitou Grand Caverns where Lantern Tours are given. 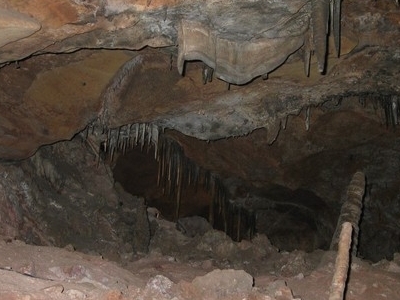 Here's the our members favorite photos of "Caves in Colorado Springs". Upload your photo of Cave of the Winds!